The Heroism Of Dian Fossey And Her Efforts To Save The "Gorillas In The Mist"
She wrote the acclaimed book Gorillas In The Mist and became an ardent conservationist for gorillas, but Dian Fossey's efforts to combat poaching ended up costing her life. Getty ImagesDian Fossey poses in front of the gorilla exhibit at the American Museum of Natural History. In 1963, reclusive occupational therapist Dian Fossey decided she needed an adventure. She borrowed money from a friend and decided to journey to the farthest place from California she could go: the wilds of the African jungle. For seven weeks, Fossey toured the continent, traveling to Kenya, Tanzania, the Congo, and Rhodesia. She also visited wildlife reserves like the salt lake of Manyara, famous for its flocks of flamingos. While she was visiting the Olduvai Gorge in Tanzania, she met archeologists Louis and Mary Leakey. Several years prior, Louis Leakey had developed a plan to send researchers into the field to study primates, in the hopes that studying them could lead to information on human evolution. Upon meeting Fossey, he knew she was the woman for the job. Before becoming an occupational therapist, Fossey told Leaky she had developed an interest in veterinary studies. That, coupled with her interest in traveling and her love for Africa made her irresistible to Leakey. For the duration of her trip he pursued her, hoping to get her to work for him and study gorillas in the Congo. 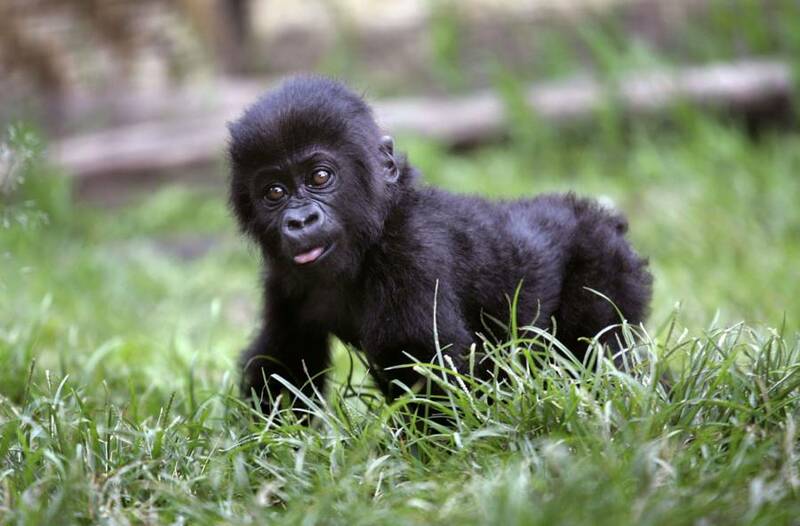 John Moore/Getty ImagesOne of the baby Virunga gorillas on the Karisoke reserve. While she eventually returned to the states at the end of her seven-week tour to repay her loans, it wasn’t long before she crossed paths with Leakey again while he was on a nationwide lecture tour. Fossey met up with the archeologist on one of his stops, bringing with him the articles she had published on her African tour since returning. 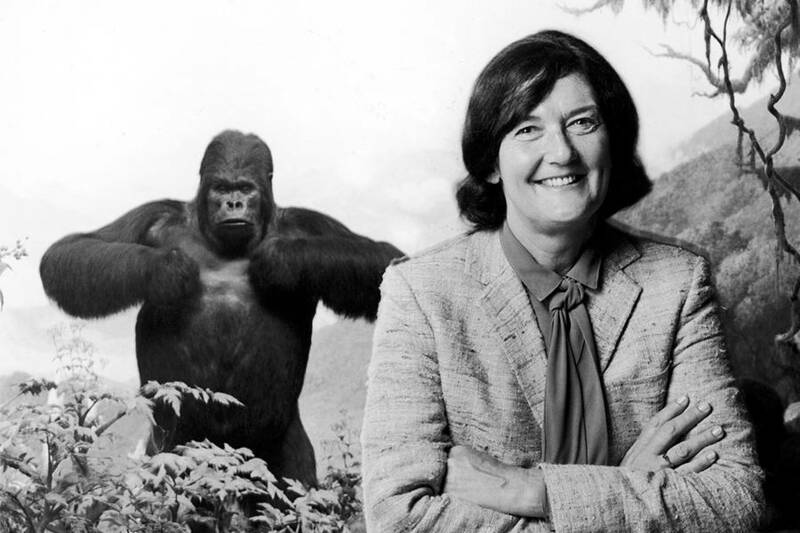 Leakey remembered her and her interest in mountain gorillas. Though three years had passed, he hadn’t found anyone he wanted to fill the research spot as much as her, so he offered her the job. This time, Fossey agreed. During the eight months it took to get her visa in order, Dian Fossey studied Swahili and took classes on primatology, hoping to expand her skill set before arriving in the Congo. Then, in 1966, she finally arrived. In her trusty Land Rover, which she named “Lily,” Fossey first traveled to the Gombe Stream Research Center to meet Jane Goodall. While observing Goodall’s research methods, she also learned how to track gorillas and obtained permits to work in the Virunga Mountains, where the gorillas lived. Finally, in early 1967, she was ready. However, the Congo was not. The 60s were a turbulent time for the area, especially since declaring their independence at the start of the decade. The civil unrest was especially hard for foreigners to endure, since there was no stable form of government. Fossey and her team were detained several times during their stay, eventually being deported to the U.S. Embassy in Nairobi. There, she met up with Leakey who encouraged her to keep trying. Finally, the team had a breakthrough when they met an American expatriate who had Belgian connections in the Rwandan side of the Virunga Mountains. Though still dangerous, the area was suitable for study and became the place where Fossey set up camp. 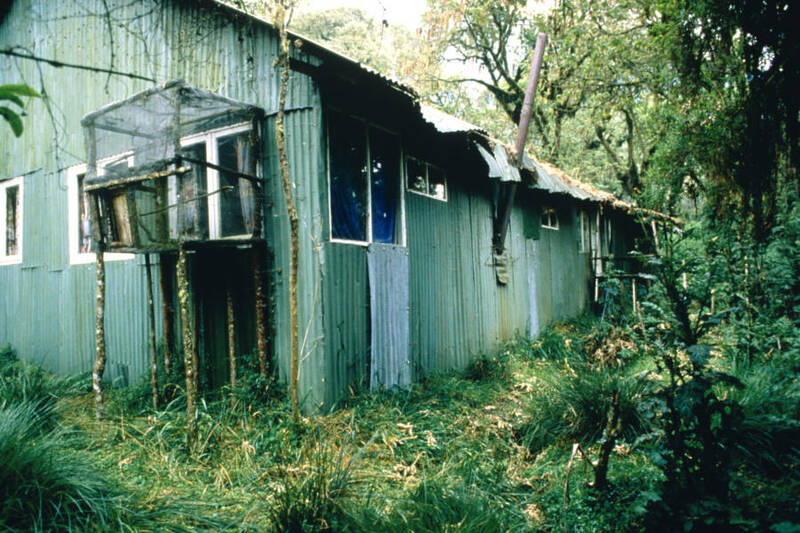 Murray Close/Getty ImagesNaturalist Dian Fossey’s cabin at the Karisoke Mountain Gorilla Research Centre in Rwanda. During her time in the Virunga Mountains, Fossey founded the Karisoke Research Center in the foothills of Mount Bisoke. She hit a few roadblocks over the years, as the Rwandan Virunga gorillas had never been exposed to humans like those on the Congo side. They considered all humans a threat and were therefore much more difficult to get close to. Many of the research students grew tired of the elongated process and increasingly fed up with the conditions. Unlike the Congo, which was far more settled, the region around Karisoke was muddy, cold, dark, and had no pre existing footpaths. As her involvement with the gorillas deepened, so did her fear for them. The gorillas were being poached at an astonishing rate, sometimes in groups of five to ten at a time. With her remaining team members, Fossey instigated her own poaching patrols, dismantling traps and nursing abandoned or hurt infant gorillas back to health. Her research soon became more focused on conservation efforts than archeological research. She soon began writing to the World Wildlife Fund, the African Wildlife Foundation and the Rwandan national park system, encouraging them to stop poaching. 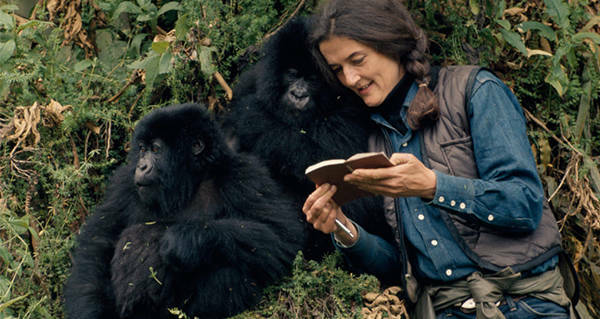 Her book Gorillas in the Mist, which became a rapid bestseller and later was made into a movie starring Sigourney Weaver, helped conservation efforts by opening the eyes of the western world to the horrors that the gorillas were enduring in Virunga. Her efforts as a relentless conservationist were hailed worldwide and helped make her an international icon for wildlife support. However, it was also her downfall. In 1985, two years after her book was released, Dian Fossey was found dead in her cabin at the edge of her camp, killed by a single blow to the head with a machete. As all of her valuables were still in the cabin, burglary was ruled out as a motive. A hole in the wall indicated where the murderer had broken in. Some broken glass was found in the cabin, but for the most part, it seemed there had been no struggle. 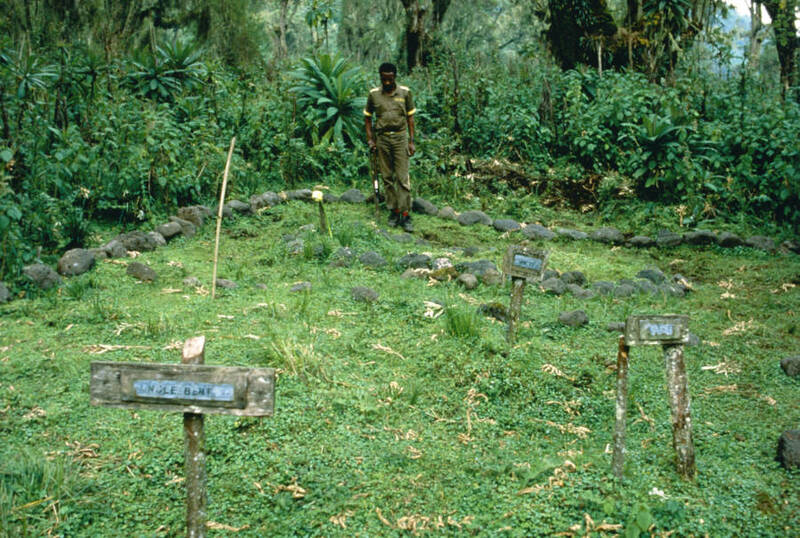 Murray Close/Getty ImagesThe graveyard where naturalist Dian Fossey and several of her beloved gorillas are buried. A murderer was never convicted, but several suspects were arrested. One man was strongly believed to be the murderer as he had attempted to kill Fossey before, though he killed himself before charges could be brought against him. A man named Wayne McGuire, Fossey’s research assistant, was also convicted by Rwandan courts in absentia for the murder. Though it is widely speculated that he did it in order to steal her research to produce asequel to her book, no extradition treaty exists between Rwanda and the United States. As such, McGuire has never served the sentence he was handed for Fossey’s murder — a murder which he insists he had no part in. Today, the murder remains unofficially unsolved, as after McGuire’s trial it was never further investigated. Dian Fossey is buried in Karisoke, among several fallen gorillas for whom she constructed a makeshift graveyard, forever becoming the woman who resides alone in the mountains amongst the gorillas. Next, read more about the gorillas of Virunga. Then, check out these photos of African kingdoms before European’s colonized them.